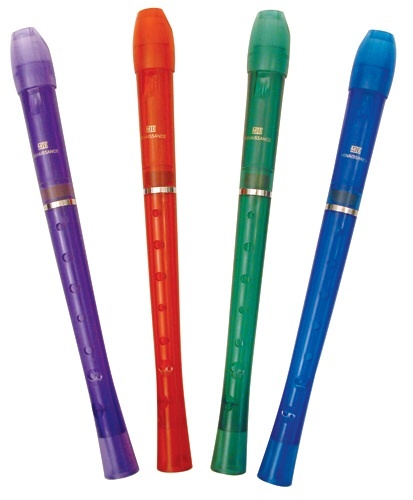 Ah, but the sound of a recorder … that seven or eight (or heck I dunno, maybe it’s nine or ten?) holed “music” making device that every American youngster gets to attack in grade school … surely you know what I’m talking about. Either because your mind is drifting down memory lane to your childhood days, recalling that odd little instrument and how, day after day, you struggled to play Mary Had a Little Lamb – OR, because you have a child at home whose school music teacher dubbed this the year to learn to play something other than the cymbals. I know … I feel like I should pause here for a second to let everyone who has drifted come back, but alas, I only have time for a very short post this a.m. And so, I leave you not with any great literary work here, nor any words of wisdom other than this … music, no matter what it sounds like, no matter who is making it, should always have the chance to be heard – even if it’s Mary Had a little Lamb played in b sharp on a grade school recorder. I not only remember mine, I still have it. One of the few things to not get lost or broken in my childhood. You did a great job from your phone! Loved the post!